Oh my goodness, these are amazing! I am such a fan of yours! You have my dream job! I began as a reader and morphed into a collector cherishing some fabulous volumes of my own. These two signed works would be an incredible addition to my library! Thank you so much for your generosity...love these books. Want these books...fingers crossed! Wonderful giveaway, thank you for offering it! Hooray! One of the items on my bulletin board above my desk is a very old postcard I found in a book, the summer I worked at a used bookstore. It's moved through several offices at this point, and it's one of my favorite decorations. I would be thrilled to win, Ty for the chance. I would love to win them they are so cool! Oooh, my favorite giveaway! Yes please! Longtime follower. I enjoy receiving free books. I love finding forgotten goodies in books. Would love to win your books! I'd love to win these books. Always look at the blog. Would love to win these. Best, and keep on blogging. Oh, how fun! I'd love these :) Thanks for the giveaway! Thanks for the offer! Love your blog! I've been wanting these for a long time now, please put my name in the hat for a chance to win. Thanks bunches!! 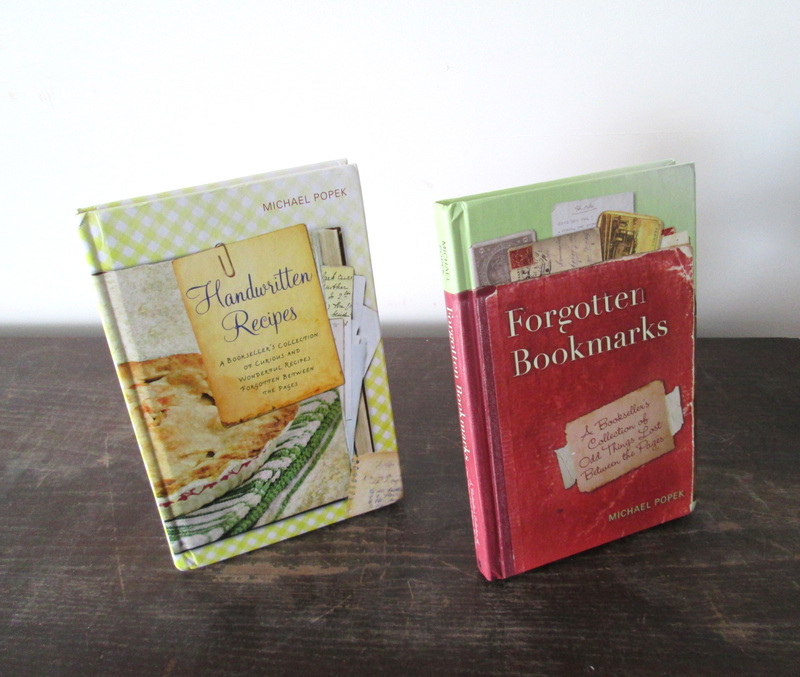 I have a text file on my desktop with recipes from this blog...if the dishes I want to try weren't included in the book, I plan to put them in the book. They will be bookmarks once again. LOL! Great blog, great giveaway! Count me in.